India is known for its poverty. There are beggars in every town, and as a tourist, it is sometimes hard to walk past them without feeling bad, especially if you are holding food that they obviously need more than you do. I usually walk by with my head down and try to not concentrate on how unjust our world is for some. It is not that I don’t want to help them, but if I gave every beggar I encountered money, I too would be broke (plus, by giving money, you can’t guarantee it’s not going towards alcohol or drugs). In Rishikesh there are plenty of beggars, homeless Indians as well as Babas who choose to be homeless, basically relying on the kindness of others to get them through. 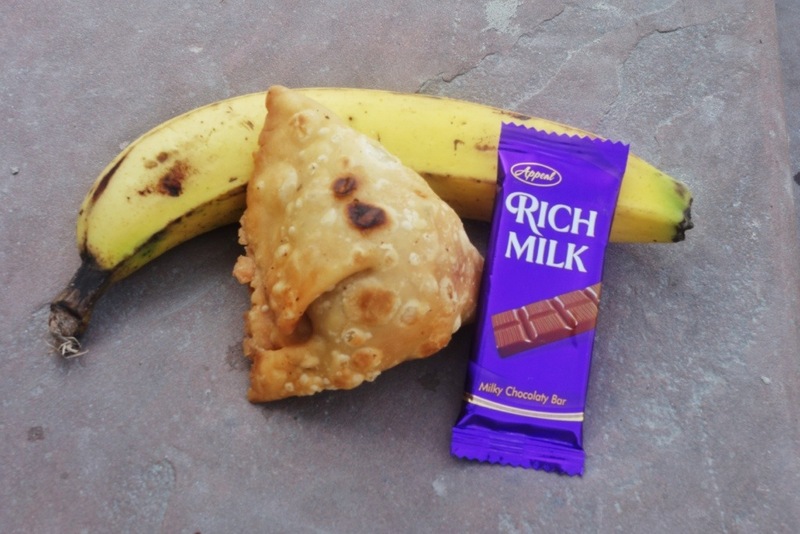 I decided for a day to change my philosophy, and instead of giving nothing to everyone, I gave some food, a banana, a samosa, and a chocolate, to every homeless I passed. I ended up giving over twenty people, ranging from a blind older women, to a small child in his mothers arms, these three items. Though it is not much, I figure that anything is better than nothing when you don’t even know when your next meal will be. This entry was posted in India and tagged Homeless, India, rishikesh by The Wandering Nomads. Bookmark the permalink. Bless you for your compassion and generosity!